Five months after he took office, Pedro Sanchez is finally on his first official visit to Morocco. The visit’s delay gave rise to an unusual situation in relations between the two countries. Washington D.C – Felipe Gonzalez, a former leader of the Socialist Party and former prime minister from 1982 to 1996, established a tradition in the bilateral relations between Morocco and Spain when he came to power in 1982 by turning Rabat into the first foreign capital a Spanish prime minister visits after he takes office. Since then, this tradition has been respected by all Gonzalez’s successors. Making Morocco the first foreign destination for every newly elected Prime Minister has been a way of demonstrating the value Spain places on its strategic relations with Morocco and the status that Morocco enjoys in Spain’s foreign policy given the pivotal role it plays in the success of many Spanish foreign policy decisions that have a significant impact on Spain’s national security. When he came to power in early June, Sanchez insisted on maintaining that tradition. However, the dates he proposed for visiting Morocco did not fit King Mohammed VI’s agenda. Spain’s many efforts to organize the visit in July, August, and September were unsuccessful. The delayed visit of the Spanish prime minister sparked a debate in the media and gave rise to speculations as to why Morocco had not responded to Pedro Sanchez’s request to visit the country. Spanish diplomatic and political circles feared that Sanchez would not be able to make an official visit to Morocco before the end of 2018 or before the international summit on migration, which will take place in Marrakech on December 10. The prime minister announced his visit to Morocco at a press conference last Friday following the Ibero-American summit in Antigua, Guatemala. When Sanchez announced he would meet Moroccan Head of Government Saad Eddine El Othmani on November 19, he did not confirm that he would meet King Mohammed VI. He only indicated that he had asked to meet him. The uncertainty looming over Sanchez’s meeting with King Mohammed VI is unprecedented in the recent history of the relations between the two countries. 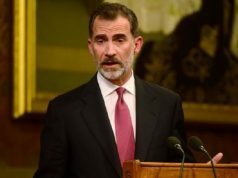 No Spanish prime minister since 1982 has come to Morocco without knowing for certain that he will meet the Moroccan monarch. 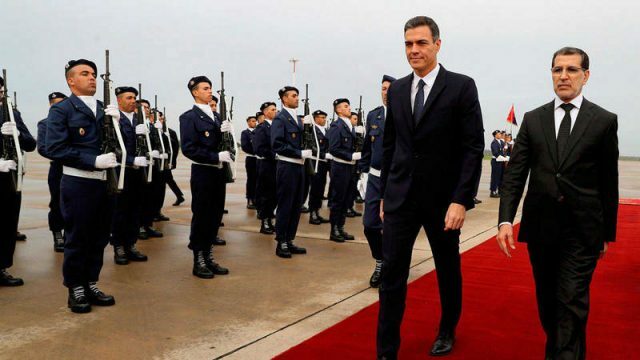 The context in which Pedro Sanchez announced his visit to Morocco and how the Spanish press portrayed it suggest that the new Spanish government is keen to maintain the same positive dynamic and understanding the bilateral relationship has enjoyed in the last decade. 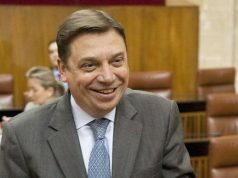 Though the Spanish prime minister has not received a formal response to his request to meet with King Mohammed VI, Spanish news agency EFE quoted a Spanish government source as saying that Pedro Sanchez intended to thank the Moroccan government for its efforts to fight irregular immigration and to stress that Spain would remain Morocco’s ally within the EU. 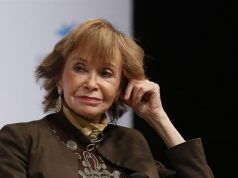 Sanchez also seems eager to establish a personal relationship with King Mohammed VI, the highest authority in Morocco, as did the two former socialist prime ministers, Felipe Gonzalez and Rodriguez Zapatero. Both had established privileged personal relationships with King Hassan II and King Mohammed VI, respectively. Pedro Sanchez is also seeking to maintain the same traditional friendly ties that link his party and Morocco. Sanchez’s eagerness to meet with the Morocco’s highest authority is not based on his particular affection for Morocco, but on strategic calculations and the pragmatism of Spanish policy-makers who are aware of the role King Mohammed VI plays in Morocco’s foreign policy. 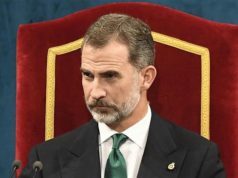 Creating a direct channel of dialogue between King Mohammed VI and Spanish officials, including King Felipe VI and his prime minister, has always been viewed from Madrid as a guarantee for preventing any misunderstandings or deterioration in the relations between the two countries. For example, when former Prime Minister Rodriguez Zapatero came to power in April 2004, he was keen to establish a personal relationship with King Mohammed VI. When King Mohammed VI welcomed Zapatero in Rabat one week after his election, it was the first step the two countries had taken to turn the page of the prolonged period of tensions that marked the second term of former Prime Minister Jose Marii Aznar. That first meeting contributed to establishing solid ties between the two leaders and resulted in an unprecedented improvement in the relations between the two countries throughout to Rodriguez Zapatero’s tenure as prime minister between 2004 and 2011. Building on the experience of his predecessors, Sanchez is interested in creating a similar channel for direct dialogue and personal contact with King Mohammed VI to maintain the same momentum the bilateral relationship has experienced over the past 14 years. On the other hand, Sanchez’s desire to visit Morocco also has a lot to do with the key role Rabat plays in the successful implementation of Spain’s foreign policy decisions, particularly with regard to illegal migration, extremism, terrorism, and drug trafficking. 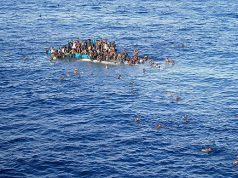 Spain needs to strengthen its cooperation with Morocco on migration, especially following Italy’s definitive border closure to illegal immigrants, making southern Spain the primary gateway for irregular immigrants to Europe. That is why Spain has recently pushed the EU to increase financial support to Morocco to help it effectively manage irregular migration. Morocco also has an important role in the Spanish economy as Spain’s leading economic partner in the Arab world and Africa. It also is the second largest economic partner of Spain outside the EU behind the US. After decades of competition with France on the Moroccan market, Spain has become Morocco’s leading economic partner over the past five years, surpassing France, which held the position for more than five decades. In addition to security cooperation between the two countries, Spanish officials are eager to build on the progress they achieved over the past three decades in the economic relations between the countries. 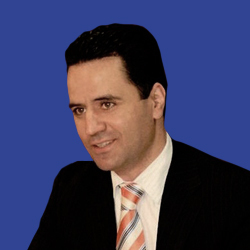 Given the prominent role King Mohammed VI plays in defining the orientations and decisions of Morocco’s foreign policy, there is no better guarantee for the Spanish minister to maintain strong ties between Rabat and Madrid than establishing channels of personal contact and communication with the Moroccan monarch.